91-year-old Dalmia was instrumental in giving a befitting renovation to Sri Krishna Janmasthan temples along with his father Jai Dayal Dalmia, said Kapil Sharma, Secretary of Sri Krishna Janmasthan Seva Sansthan. 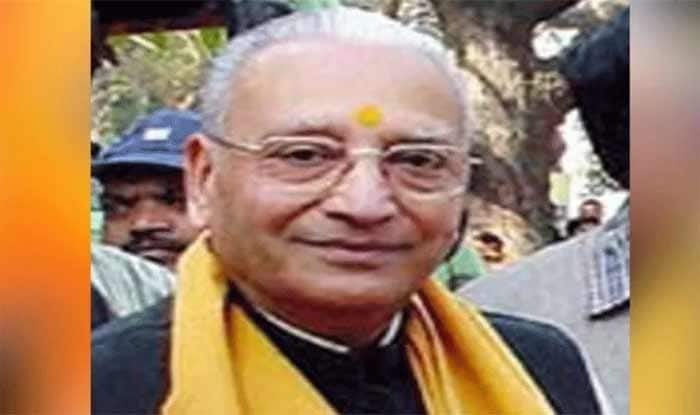 New Delhi: Former Vishwa Hindu Parishad (VHP) president, Vishnu Hari Dalmia passed away at his Delhi residence on Wednesday. 91-year-old Dalmia was instrumental in giving a befitting renovation to Sri Krishna Janmasthan temples along with his father Jai Dayal Dalmia, said Kapil Sharma, Secretary of Sri Krishna Janmasthan Seva Sansthan. He also served as the ‘Prabandh Nyasi’ (managing trustee) of Sri Krishna Janmasthan Mathura. He was unwell for the last one month and breathed his last at his Golf Link residence in Delhi. Dalmia was also a committed ‘Gau Sevak’ and had not only established ‘Gaushala’ in the precincts of Sri Krishna Janmasthan Mathura but also helped Brijbhumi and other district-based cow shelters. Dalmia played a crucial role in the Ram Janmabhoomi agitation. However, his last wish of a majestic Ram temple in Ayodhya remained unfulfilled, he said. Dalmia’s sons, Anurag and Sanjay, performed his last rites at Delhi’s Nigam Bodh Ghat on Wednesday.